(LoC) On March 3, 1859, journalist Q. K. Philander Doesticks (Mortimer Thomson) attended an auction of 436 men, women, and children formerly held by Pierce M. Butler. Butler's slaves were auctioned in order to pay debts incurred in gambling and the financial crash of 1857-58. 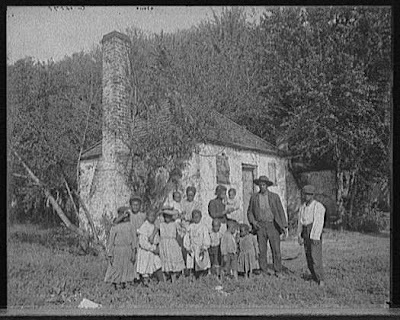 Doesticks' account, What Became of the Slaves on a Georgia Plantation?, includes vivid descriptions of the largest recorded slave auction in U.S. history. The grim sale, which took place over two rainy days on the eve of the Civil War, was referred to as "The Weeping Time."